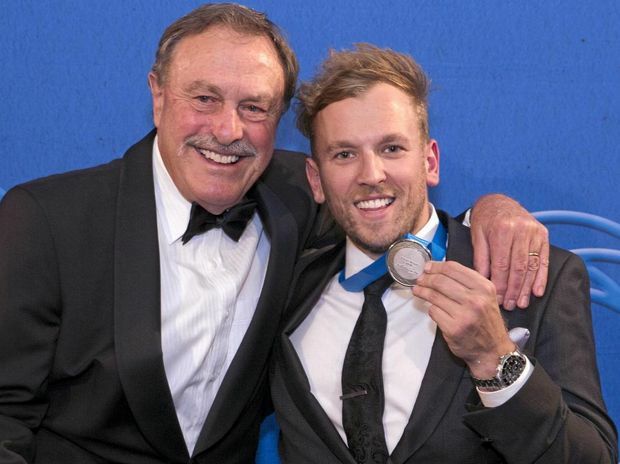 You may have already read or heard in the media this morning that Old Boy, Dylan Alcott (2008) was last night awarded the Newcombe Medal, Australia’s highest individual honour for tennis. Dylan also shared the award for “Most outstanding athlete with a disability” with his gold medal winning doubles partner, Heath Davidson. Dylan was inducted into the BGS Hall of Fame in 2011 following his gold medal winning performance in wheelchair basketball at the Beijing Paralympics in 2008 while still a Year 12 student here at BGS. At the London Paralympics in 2012, he won a silver medal in wheelchair basketball and at Rio this year won Gold in both the men’s quad doubles and singles tennis. Dylan is arguably the School’s most successful sportsman being our only multiple medal winner, our only individual gold medal winner, our only number one in the world at any sport and now Newcombe Medal winner being chosen above able bodied athletes. Dylan was born with a tumour wrapped around his spine and required surgery to ensure his survival but at the cost of the use of his legs. He came to BGS in 2002 in Year 6 as the recipient of the Comport Scholarship and credits BGS as a major contributor to his attitude to not only not let his disability slow him down but to excel at everything he does despite it. Dylan is an absolute inspiration and a product of BGS of which we should all be immensely proud.